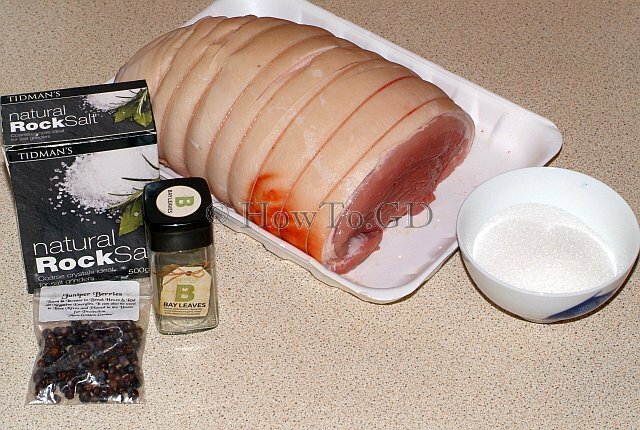 Brine cured ham, is a large piece of pork, salted in a brine and then cooked. 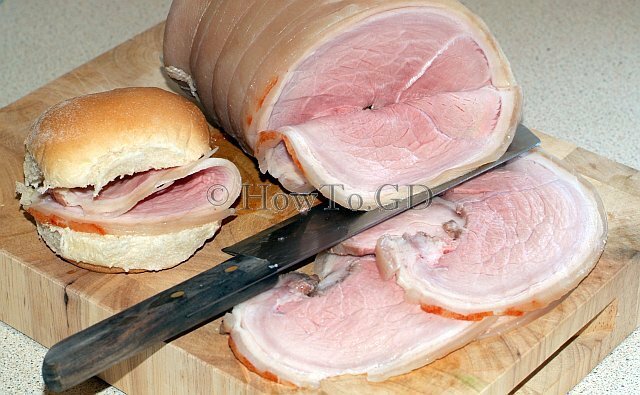 Any part of pork can be used to make a ham, but usually loin or leg is used for this. Curing for long storage usually performed with extra sodium nitrite (up to 6% of all salt) and sodium nitrate salts. Also these salts preserve the colour of the meat, but for the short storage, I do recommend to avoid these salts. 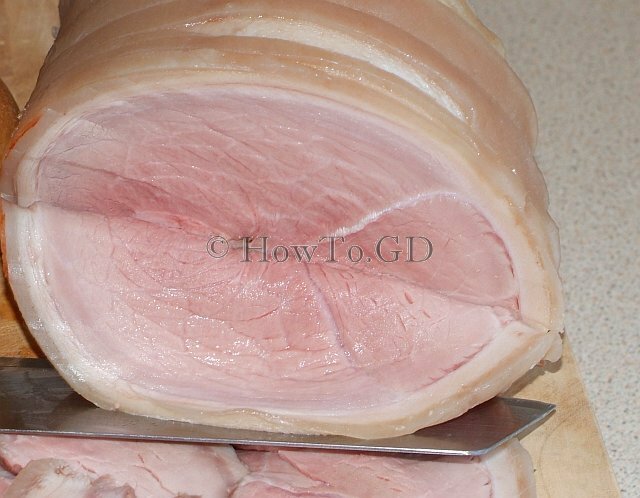 Simple cured ham can be stored in the fridge for up to one week. Recipe looks very simple, but the large volume and long time of preparation makes it difficult. Half pork leg, usually about 4-5 pounds. 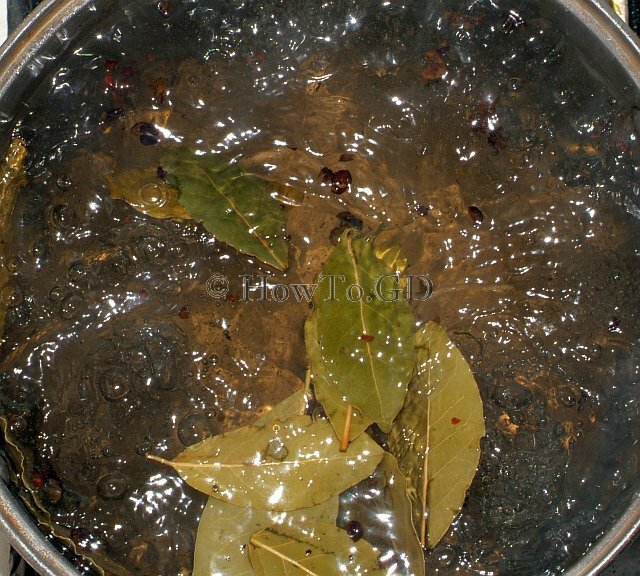 Bring water for brine to boil and add all spices, salt and sugar. 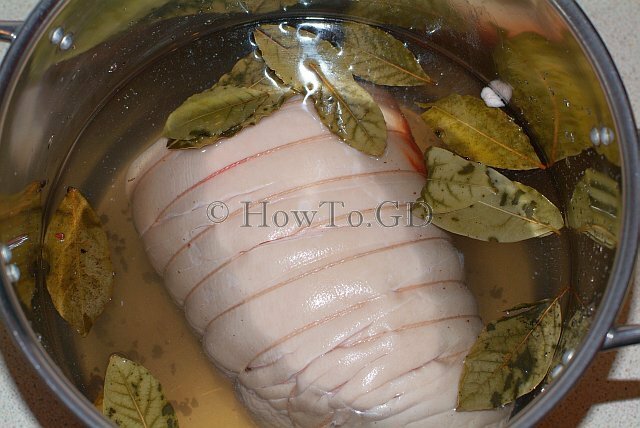 Chill it down to 4 ° C.
Add meat to the brine and make sure, that the meat is completely covered by the liquid. Meat should be tied with rope. Keep 5-7 days in the fridge. 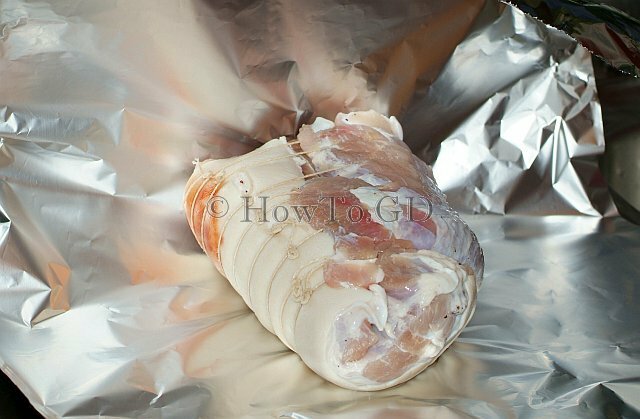 Remove salted meat from the brine, wash it and wrap into a foil. 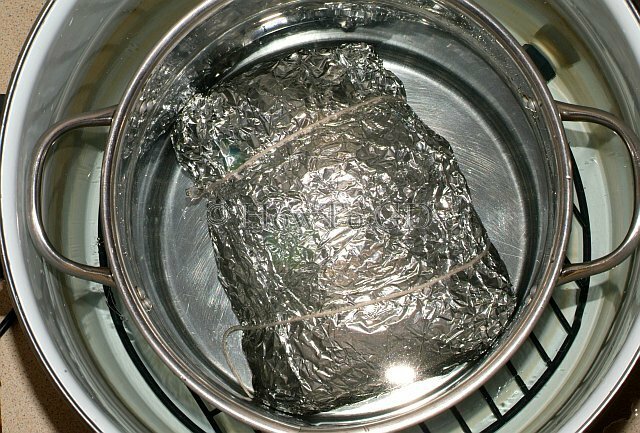 Place wrapped meat into pan with plenty of water. 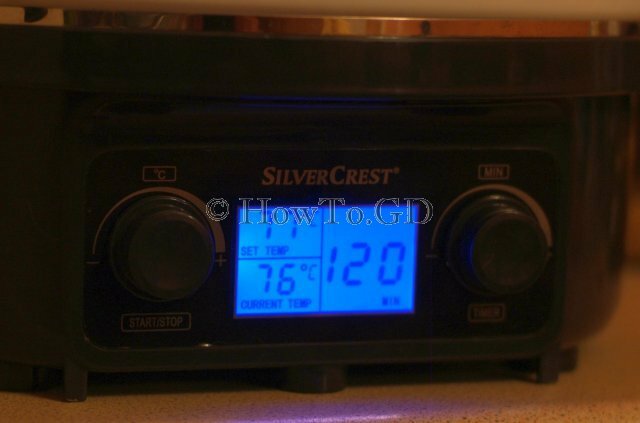 Cook at least three hours at 77 ° C.
It is possible to use any size of the meat for curing, but the most important is how convenient to work with this chunk of meat. It is absolutely necessary to have proper container for salting and for cooking. It is possible to add other spices to the brine, like allspice, cloves, garlic, black pepper, mustard, etc. After or instead of cooking in the hot water it is possible to roads or smoke this meat, but this will be different recipe, which I will describe later.